Success Story by Yokogawa: SAMSUNG Fine Chemicals (SFC) produces many kinds of fine chemicals that have been well received both in Korea and the global market. SFC’s products include mecellose (methylcellulose), epichlorohydrin (ECH), dimethylformamide (DMF), methylamines, tetramethylammonium chloride (TMAC), barium titanate powder (BTP), and AnyCoat. SFC also produces a range of general chemical products such as ammonia, urea, melamine, methylene chloride, methyl chloride, formic acid, and caustic soda. One of SFC’s primary next-generation strategic businesses is the production of electronic chemical materials (ECM) such as BTP. SFC has four BTP plants in Ulsan that, altogether, produces 4,000 tons per year of this material. One of these plants, plant C, was built in 2010 and uses Yokogawa’s CENTUM CS 3000 distributed control system to control all of its operations. 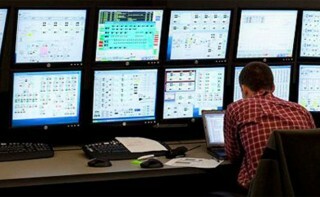 In 2012, SFC introduced Yokogawa’s Exapilot package solution to automate processes throughout this plant. As a result, SFC has been able to reduce operator workload, improve product quality, and reduce production losses.